Knowing how to pump rollers is a skill that opens up numerous possibilities on just about any trail. By strategically weighting and unweighting your wheels, you can pump over rollers and through low spots in the trail to help you maintain speed without pedaling. 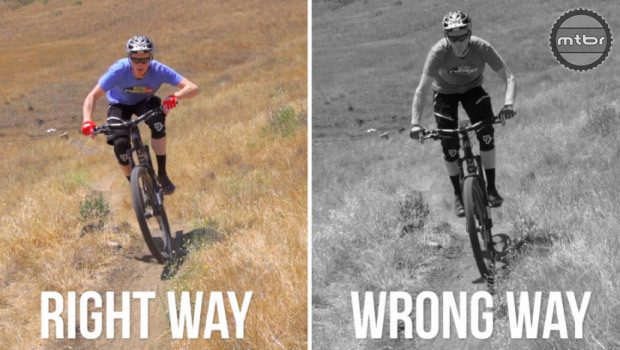 If done right, pumping the trail will actually increase your speed, even on trails that are slightly uphill. Before you start, get the protection gear you need such as a helmet, gloves, knee guards, and elbow guards to help you to continue the learning process after you make an inevitable mistake. Here’s how it’s done. Standing slightly tall on the pedals, pull up on the handlebars as your front wheel rolls up the face of the roller. When your rear wheel gets to the roller, unweight the pedals and bend your knees so that your trunk stays low. At the same time, shift your weight slightly forward and push down on the handlebars so that your front wheel can drive down the backside of the roller. Once the rear wheel clears the crest of the roller, extend your legs and heavily weight your pedals. Pumping a low spot is the same as pumping a roller, but in reverse. Start by crouching low on the bike. Press down on the handlebars as your front wheel begins rolling down into the low spot. Extend your legs and heavily weight the pedals when your rear wheel starts rolling into the low spot. When your front wheel reaches the bottom of the low spot, pull up and back on the handlebars. Getting out of the low spot is the same process used to get you up and over a roller. Pull up on your handlebars while unweighting the pedals and thereby returning to the low stance that you started with before entering the low spot. It takes a bit of practice to learn, so don’t give up if you don’t figure it out right away. This is the kind of skill that you can spend years honing and improving. Pumping is something you can work on every time you hit the trail.